Comprehensive Pain Management always appreciates feedback from our valued patients. To date, we’re thrilled to have collected 15 reviews with an average rating of 5 out of 5 stars. Please read what others are saying about Comprehensive Pain Management below, and as always, we would love to collect your feedback. Love Dr Chan. His injections are as pain free as they can get. He is very compassionate and he knows me which is comforting. All of the staff is professional and friendly. Very nice dr's and staff. Dr. Shwartzman is awesome. Very gentle, understands how sensitive the pain can be and usually gets it right the first time. Everyone that works in this office, from the secretary’s to the NP’s are truly caring and understanding. I’ve had a great experience here and I always feel heard and compassionately have my pain addressed. 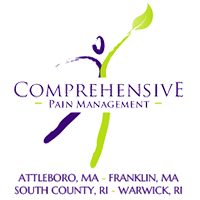 For Nearly 14 years, I have had the pleasure of working with Dr. Chan and all of the staff at Comprehensive pain Management, aka Franklin Pain & wellness. Dr. Chan and all the staff members from day one treated me with dignity, respect and a true sense of care and concern for relieving me of my chronic severe pain issues of my spine. Every monthly appointment was and still is met with courtesy, professionalism and respect. Every patient is expected to follow a basic guideline of respect for the staff and a compliance set forth to ensure your treatment goals are faithfully attempted and adhered to to ensure a successful recovery in combatting pain issues whether through medication management, suggested referrals to attempt clinical procedures in or out of the clinic. Ie physical therapy, Rf treatments, etc., etc. I would highly recommend that anyone honestly seeking to relieve their pain issue at hand, be forthright, honest and compliant with policy of any clinic such as this to ensure that you do get the full benefits of having one of the best, most personable highly qualified pain treatment centers in the area assist you in coping/combating pain related issues. All the staff there truly care about their patients. I had spinal fusion surgery 6 years ago with a bad car accident 4 months later. All my other doctors have pretty much said there's nothing they can do but Dr Chan and his staff have been there for me the whole time. If it wasn't for them I honestly wouldn't even be able to function on a daily basis. Great doctor with excellent surgical skills. Always a great experience. Very helpful with chronic pain management. I have been very pleased with my care after a defective knee replacement. Staff was exceptional in helping me control severe pain levels thru medication and counceling. Also helped me locate an excellent surgeon to replace the defective knee and after surgery my pain level is now much less and improving. Can't thank them enough and highly recommend them. Always takes his time an listens to your words that is so important! The entire staff is so amazing! Very professional, always empathetic and always smiling. I see the nurses mostly and they work so hard but always take the time to make sure I am ok and comfortable. Thank u so much for all u do for me. With the injections I get I can live a life with my family. Before I came to your clinic I was not able to enjoy life and missed out on so much. My family and I thank you so much for all you do. Great staff and very helpful for anyone suffering in daily pain. the people are all very nice.my n.p is always very nice and offers anything I might need for my health issues.